Moeen Ali's half-century and two wickets came in vain as Royal Challengers Bangalore suffered a seventh defeat in eight games in the IPL after losing to Mumbai Indians by five wickets. Ali (50 off 32 balls) struck his second IPL fifty during a 95-run partnership with AB de Villiers (75 off 51) as RCB posted 171-7 - the England all-rounder smiting five sixes and one four before he became one of four batsmen to be dismissed by veteran Sri Lankan seamer Lasith Malinga. Ali then took two wickets in an over, bowling Rohit Sharma with a peach of a delivery and then trapping Quinton de Kock lbw three balls later after the pair had put on 70 for Mumbai's first wicket at Wankhede Stadium. The spinner ended his spell with 2-18 from four overs, only to end up on the beaten side as Hardik Pandya smashed an unbeaten 37 from 16 balls to power Mumbai home with an over to spare. RCB's only victory so far this season came against Kings XI Punjab on Saturday - De Villiers and Virat Kohli scoring vital half-centuries in an eight-wicket success - with Kohli's men losing each of their first six matches. Ali did not get a bat against Kings XI but did impress with the ball, shipping just 19 runs from his four overs and dismissing countryman Sam Curran. 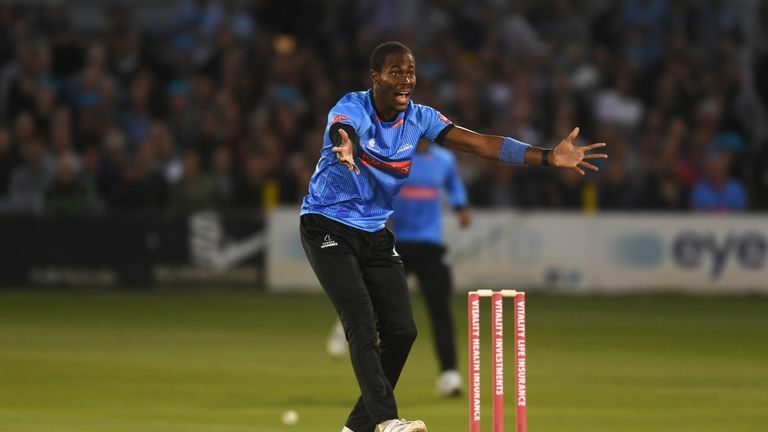 The 31-year-old is a shoo-in to be named in England's provisional World Cup squad, which will be announced on Wednesday - and could be joined by the now-qualified Jofra Archer.